So your date reminds you of your 48-year old third grade teacher. So you have your face covered in spit and you are dying from the fumes that are coming out of his mouth. So he does nothing but talk about his mother. You have to be polite and sit through the whole thing until you have spent enough time to justifiably say: check!. Or do you? Some people think that since dates are usually and generally consensual, you owe your date common courtesy at best. However, this is not an absolute rule. There are ways to get yourself out of a bad date. If you see that the date is going nowhere, do not wait for the evening to be over before you can say to him that you need to go. Make excuses if you must: I need to feed my dog, my mother is sick, my roommate got locked out, I have an early meeting tomorrow and so on. If your date is not that dense, he or she will understand that the date is over. This could be your brother, sister, most trusted friend. Make a long-standing agreement that in case you need to be rescued from a bad date, he or she will always be ready to help you. Excuse yourself to make a phone call and have that person come in person or call you on your cell phone to make up a perfectly reasonable excuse why you need to go with him or her right away. However, do it nicely. Ask you date that you have to cut the evening short and ask him or her to accompany you outside where you can part ways. Try not to leave your date all alone on the table. It may not be the best but in situations like these it can help you a good deal. Talk to your date in a friendly manner saying that you think you are incompatible as a couple and that the date will not produce the desired results on either side. Explain to him or her that it would be better for both of you to end the date early on than have to struggle through awkward conversation the whole night. If you are the female, you can even soften the blow by offering to pay half of the bill. Be amicable about it and you might even part as good friends. Early on, try to get a feeling of the person and the possible course of the date. Mistakes from your past dates will come in handy as well as a little background on human psychology. 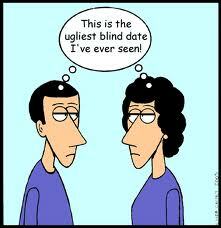 It is a little risky to go for a dinner on the first date because there is no real time frame for dinners. That is why it is best to plan for an hour-long lunch instead and get a vibe for each other. You can always leave after an hour if you feel it a bad date. Better yet, ask your date to meet for drinks. If you do not like the person, you can safely say goodbye after the first drink. If you think the date has got potential, you can immediately move on to dinner and onto a successful first date.